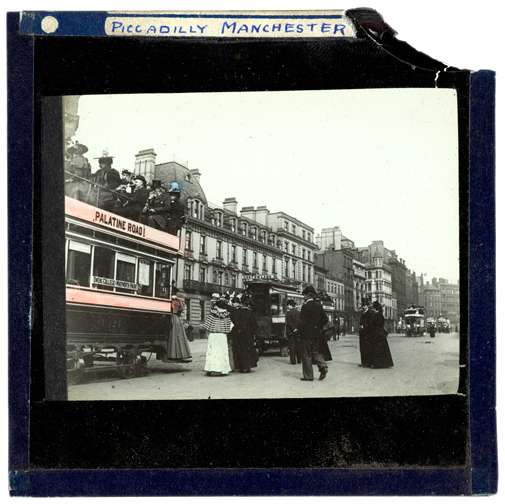 Today I started to digitise my collection of Magic Lantern Slides and Stereographs. I figured these would be the best to start putting into Omeka as they will be standardised in regards to image quality, these items also have a certain amount of textual information to help with metadata creation. Previous digital images of my collections have been a little haphazard with a total disregard for archiving as the images were just for my blog. A little weird considering what I do for a living. I’m very tempted to start afresh and have everything shot to the same imaging standards and file naming protocols. Luckily I have access to some very decent kit at work which makes short work of the digitisation process. Phase One IXR camera with an IQ3 100mp back with Capture One Cultural Heritage software. The auto-crop tool does save a lot of time. 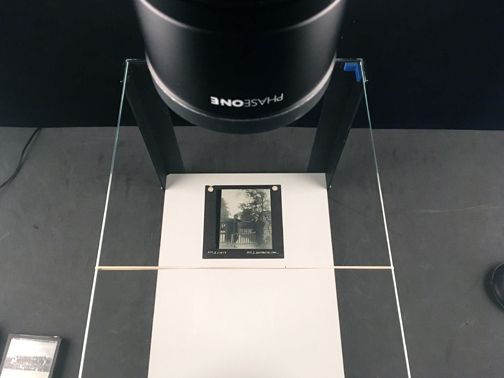 Here you can see how we digitise Lantern Slides. This is the portable version, basically a glass top table structure with a white base. Lit from each side it reflects and transmits light, capturing the photographic content and the labelling. Magic Lantern Slides (159), labels on front and top side of each slide in most cases. 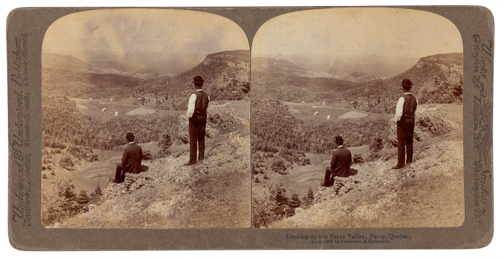 Stereographs (80), about 75% have a description on the reverse. I’ve digitised these for my reference only for creating the Description metadata. Free StereoPhot Maker software works a treat for “wiggle” images, I guess it has its uses but can get a little tiresome after a while. 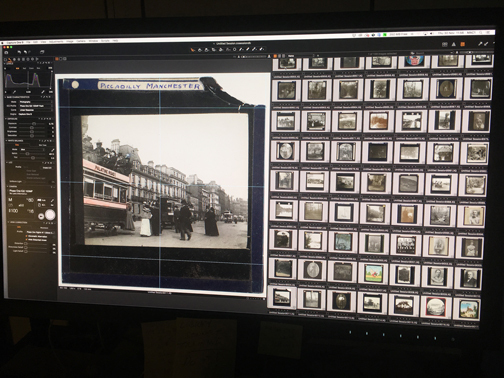 I’ll digitise the rest of the Magic Lantern Slides tomorrow, and then start on the database for a CSV import into Omeka. If that all works I can start looking at the rest of the collections. 30 Nov This entry was written by Fourtoes, posted on November 30, 2017 at 3:23 PM, filed under Misc.. Older: Wooden Cash Register… Ker-ching!